These classrooms offer an appropriately challenging curriculum for multiple ages, while placing a child in a classroom environment that best suits their developmental needs. 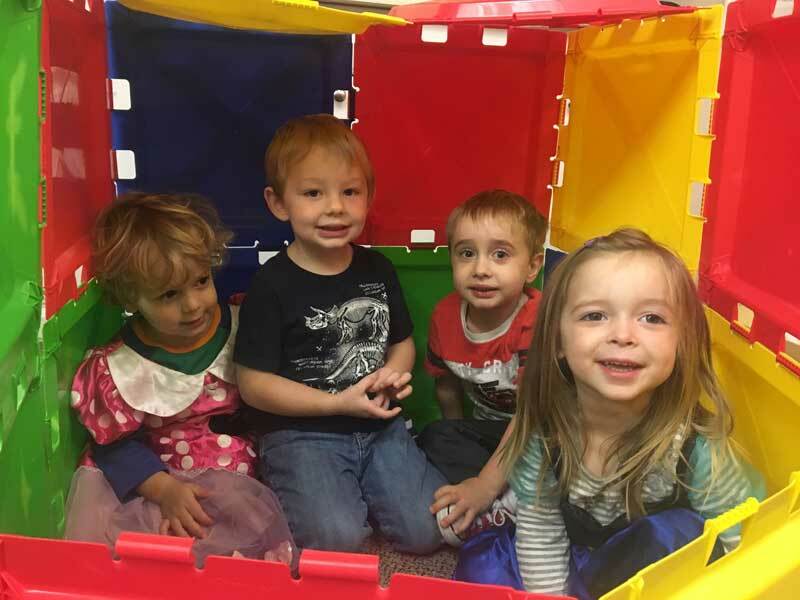 In these classrooms, children ages 3 years to 4 years transition into more social and emotional readiness with a structured environment. Our curriculum base is focused on using a variety of standards, which include: a balance of Emergent & Creative Curriculum. Our structured program is specifically designed to promote positive small group learning and independent exploration with a variety of learning materials. POSITVE language theory is a main focus throughout our school program teaching children to communicate in a positive way. Teachers also model this theory each day with peers and children in our classrooms to promote positive learning. Children will build fundamental skills to promote all areas of development through planned weekly lessons and themes. These learning areas are to include; Social and Emotional development, Cognitive, Fine and Gross Motor Development, Science, Math, Art, Music, Literacy skills, Foreign Languages, and Technology. This does not include all other enrichments offered throughout the school year. Children are assessed throughout the year as teacher’s record observations and create a portfolio of your child. This best guides teachers while assessing a child’s development, needs, and interest in order to create a curriculum based on these findings. Please see the Welcome letter for classroom philosophies, the needs list, academic calendar, and enrichment schedule attached in your packet, as well as the daily schedule for each program. While children play and explore their environment they are observed by teachers carefully to create lessons and opportunities that honor each child’s interest in a nurturing and positive environment.